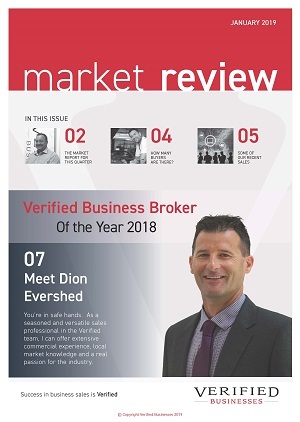 With over 19 years experience business sales on the Sunshine Coast Queensland, together with numerous prestigious awards, you can be confident whether you are a business Buyer or business Seller, that you will achieve the best result when you deal with Verified Businesses. Demand is on a high right now! Whether you want to sell to retire or re-invest into another business; you may want to consider selling now. What do Buyers Expect from You as a Seller? Understanding the Likely Selling Range of your Business.